We put together a reception at the end of each school year to recognize the accomplishments of the participants in our First Year Initiative (FYI) program. The FYI program was created to support all the needs of first-year students, including academic advising, tutoring, and financial aid support. As part of that FYI reception, we asked a few students to give a speech about what their participation in FYI meant to them. I wanted to share their words to highlight how the program can help first year students adjust to college life. 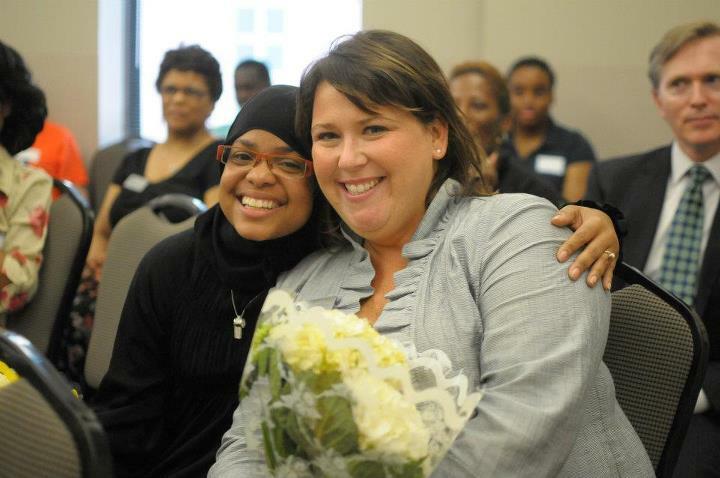 Sheena Goodman was one of our FYI Scholarship recipients in 2011. In her speech this year, she highlights her struggle to find the support, direction, and guidance that she needed as an adult student, while earning her associate degree at another college. But when she came to Peirce, she got involved, especially through the FYI program, and flourished. Read on to see how the FYI program made a difference in Sheena’s Peirce experience. My name is Sheena Goodman and I am a bachelor's student majoring in Healthcare Administration. As the FYI Scholarship recipient of 2011, I would like to welcome you this evening. I would like to start by sharing with you a little bit about myself. I have an associate degree in Cultural Science and Technology from the Community College of Philadelphia and am the mother of three children. When attending CCP, I struggled through my program because of many trials in my life. I was constantly sick and had to withdraw from classes due to a stomach illness called Crohn’s Disease. My first-born son passed away and one of my daughters was prematurely born. I was going through a lot and I didn't feel I received the support, direction, and guidance I needed as an adult student. But despite my challenges, I always kept my sights on successfully finishing my degree, which I did in December 2010. When I got accepted to Peirce College, my life changed! I received more support and direction surrounding how to be a successful college student. At the guidance of others, I took advantage of the various student support and financial support services. I work in the business office as a work study student, I am a student ambassador, a member of the Walker Center, I volunteer at many events, and I maintain a 3.5 GPA. As a result of my participation in my first year, I was awarded the FYI Scholarship in 2011, and have additionally received the Board of Trustee and Alumni Scholarships. Recently, I was accepted into the University of Pennsylvania Hospital's pre-med volunteer program in the GI procedures department, where I am working with doctors and nurses to learn what they do firsthand. Thanks for sharing your story with our reception crowd, Sheena! And keep your eyes on the blog because we’ll be sharing more speeches from our FYI speakers in the upcoming weeks.